Dubai: Godolphin handler Saeed Bin Surour maintained his dominance of the UAE 2000 Guineas, the second Classic of the UAE Racing Season, when Estihdaaf ran out a cosy winner in the mile contest, sponsored by Al Naboodah Ashok Leyland Partnership, on week six of the Dubai World Cup Carnival. Just like in 2017 when Bin Surour won the colt’s Classic with Thunder Snow, it would appear that he has a serious horse on his hands with the $2 million UAE Derby (G2) on Dubai World Cup night the most likely target for the son of Arch. 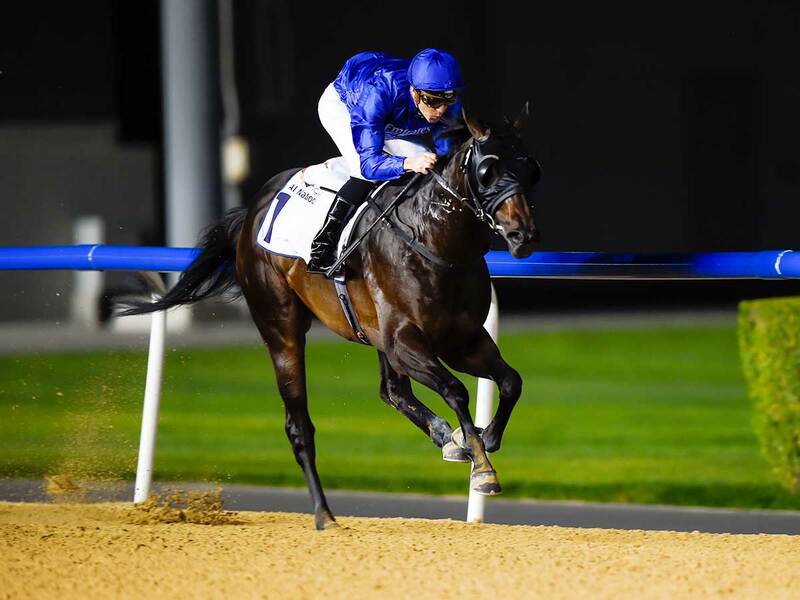 Thunder Snow completed the UAE 2000 Guineas-UAE Derby double the same year before he came back in 2018 to win the $12 million Dubai World Cup (G1). It was Estihdaaf’s third outing in the Carnival and the second on the back of an impressive second in the 1,900-metre Al Bastakiya Trial two weeks ago. Walking Thunder — the big international favourite — could only finish second, five-and-a-half lengths behind the impressive winner, with Red Cactus taking third and Simon Crisford’s Sporting Chance fourth. Winning jockey Christophe Soumillon said: “He jumped quite slowly, hopefully, it was a strong one. When I hit the front I was quite confident, because I knew here, when you have horse like him (who is) a bit lazy, if you can hit the front and relax for a while it’s hard to catch. “I was very confident especially when I saw the favourite turning in fourth deep, I knew I could go for a winning chance. “He’s great with Saeed when he gets some ideas he can make things work. I was not really sure too but last time he showed less speed than today at the gates. The card was sponsored by pillar partner Al Naboodah Group, who also sponsor the Group 2 $2.5 million UAE Derby, a race that is likely to be the principal target for many of the runners come from race.